Probably everyone heard the name of this great actor, Charlie Chaplin but very few of us know the underlying reality behind he being this great persona. Scarcity of phenomenon to make himself laugh at the childhood where he had to shed tears for numerous reasons such as father's departure to somewhere else leaving them in utter dismay & poverty, culminates into a reason of billions' smile. He had to stay with his brother and helpless mother, who was very much a failure in her career. So, they meant to live a hand to mouth existence. 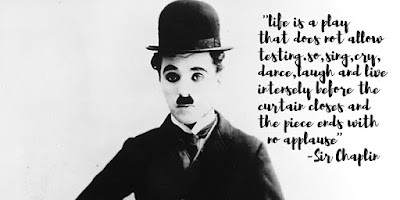 For this very reason sir Chaplin brought himself down to the 'struggle of existence'. That his mother always had been telling him about his possession of some intrinsic quality which is to be explored, fructified in reality. It was just a matter of getting an opportunity which eventually he got at a very early age and thereon he never looked back. What it takes to make others laugh just by mere appearance! I believe really it takes a lot. Suppose I get the countenance where people will laugh just by looking at me, will it be a matter of gratification? I think not. By carrying a mountain of poverty and helplessness will someone be able to make others laugh on a public platform where gravitational force is postponed for tears to dribble down? I acknowledge the fact that it is an enormous talent to make others laugh just by mere gesture and posture. 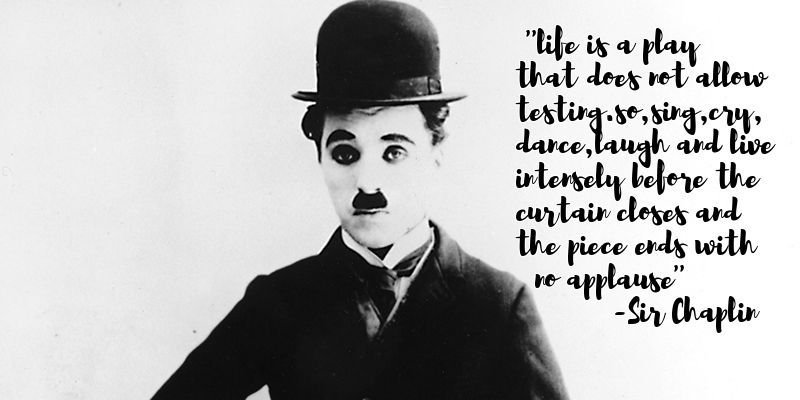 But he did it successfully by fighting against all odds and became the universal icon in the era of silent film. Wholehearted laugh is an endangered happening in the human existence right now. Had Sir Chaplin been alive till now he would have cried by looking at us for the first time ever in his life .The reverse happening would have taken place. Luckily for him he perished long ago. Hopefully one more sir Chaplin reappears and makes us laugh like never before! Laugh for no reason. People say it is an act of a fool! So what! By the way it’s a good facial exercise as well.